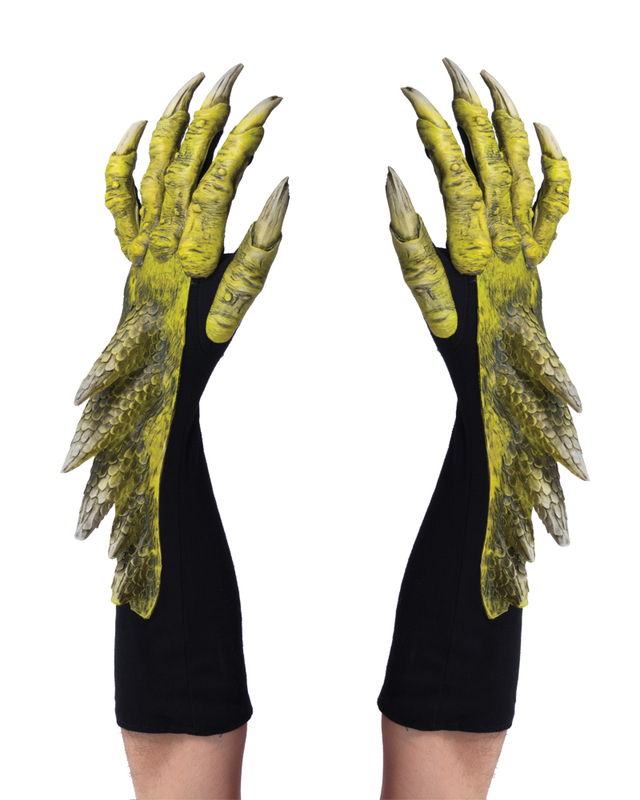 Green Dragon Gloves made from cotton gloves with latex scaley additions glued on. Comfortable to wear. Perfect for all dragon, alien and amphibian creatures! One size fits most.